What kind of websites were you planning to build? A website to show a few sample pages of my book and provide a way for customers to purchase copies. The website would have a page showing the endorsements given the book and reasons why to purchase the book. How did you hear about Sandvox? 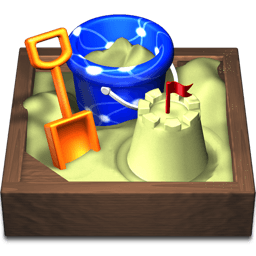 I heard about Sandvox from an online review of Mac Web Design Software. Sandvox was ranked no. 1 and after using, I can see why. What made you decide to get Sandvox? I chose Sandvox because of the ability of the program without having to spend a lot of time being educated on the program. The 30 day trial period allowed me to verify what I had read online and I was quite pleased. Now that you have Sandvox, what do you like about it? I am completely satisfied with Sandvox because of the ease of use and the ability to change the website when I want to add a feature or learn about another feature that Sandvox has. The website was quickly added to Google, Bing and Yahoo search engines. It will be very easy to add new books and items to the website as they come available.